Dining halls and cafeterias on campuses today are more akin to marketplaces and mini-restaurants than the sterile spaces of yesteryear. Aside from totally redesigning the menu to feature healthier, sustainably sourced ingredients, the campus cafe is quickly becoming a destination dining experience with more food options and an ambiance to match. 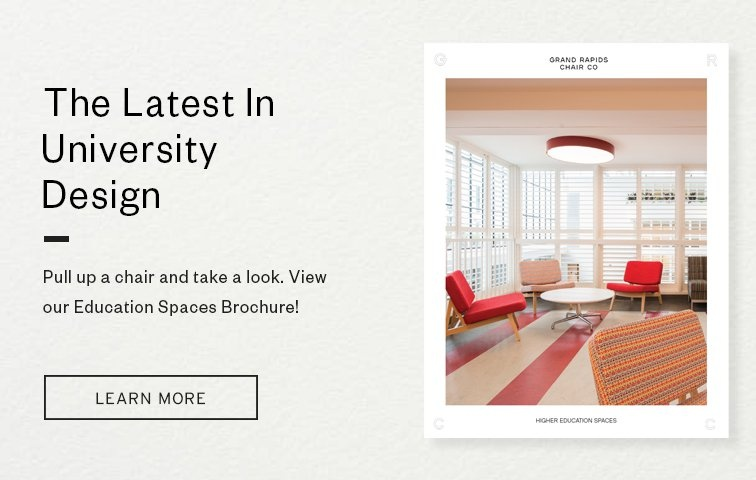 Beyond the menu, we’re seeing the physical space evolve into one of the most dynamic spaces on campus, from the seamless integration of technology to mixed-use settings and creative color combinations, we share our top 5 tips for creating a modern university cafeteria. These spaces are high-use environments and need products that can hold up to daily abuse. We suggest using tables with solid hardwood or laminate surfaces, not stone or soft woods. Aside from durability, specifying the right finishes and fabrics can make any chair feel a lot more comfortable. Use chairs and barstools with wood or metal seats for high-turnover spaces, use chairs and barstools with upholstered seats for those spaces that may be used for study spaces or the mixed-use areas, and add upholstered lounges to create a cafe feel that invites students to linger a bit longer. 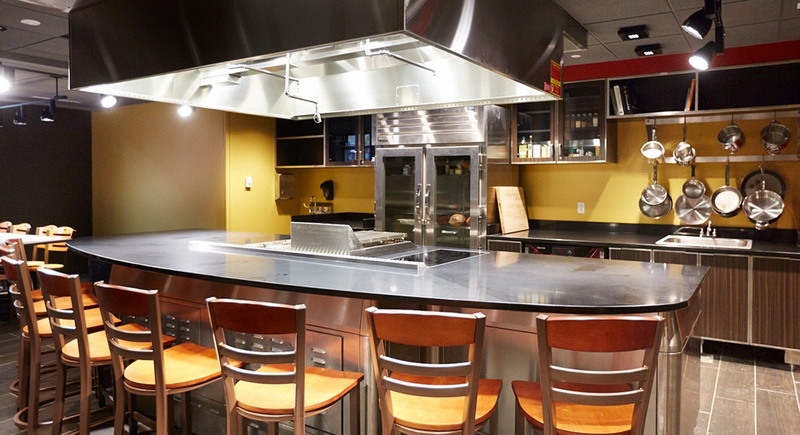 Dining halls today must feature a seamless integration of technology. 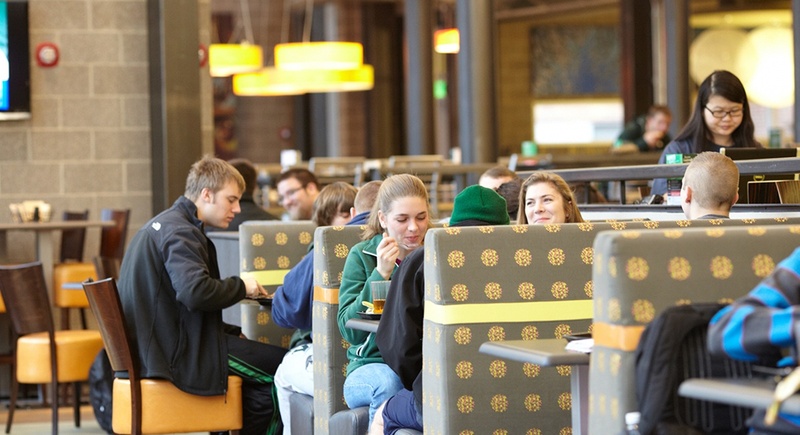 College cafeterias are being used for more than just a quick meal before or after class. Today, students treat these spaces as an extension of a media center, of their dorm rooms, and as a study hall. Integrating power and data options into your furniture is one way that you can increase the flexibility of a space. Communal tables are a pretty obvious and successful place to add a power or data port. While some students just want a place to eat, other students are craving a shared experience and actually prefer dining with others, which is also shown to increase engagement on campus. Using furniture to create defined seating areas within one common space isn’t a new concept, but bringing that idea into the campus cafe will help meet the needs of this new generation of students. Just as fast casual restaurants have added lounges, fireplaces, and free-wifi, college campuses are following suit. Lounge furniture, communal tables, and booths are all great additions to the campus cafe because they foster connection, dialogue, and create a more casual feel. Bar height tables and smaller dining height tables on the other hand are necessary for students who wish to dine alone or just pop in for a quick bite to eat. Showing off school spirit while creating a functional, beautiful space can be challenging at times, but we encourage you to explore the use of color in various ways, like on your chairs or table bases, which is why we’re so passionate about giving you tons of flexibility to use custom colors. “Lightweight” and “mobile” are two descriptors we hear time and time again from designers specifying dining hall furniture. The need for furniture that can be stacked and stored away for cleaning and special events is just as important as furniture that can be rearranged quickly by students for study groups. Look for chairs that can stack or nest, like Harper, and tables that have features like a flip or fold mechanism. Consider these five tips for the next project that you’re working on. 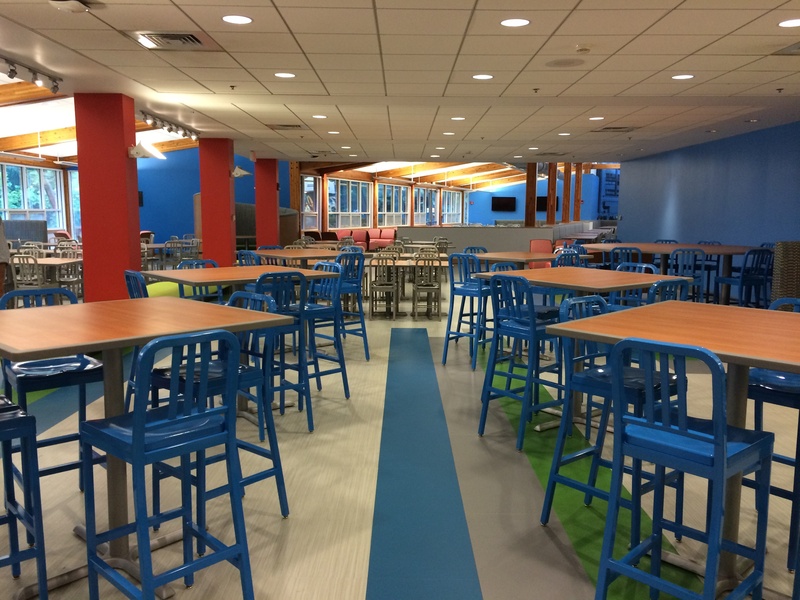 If you need some inspiration check out a few of our favorite, higher education cafeteria installs.